One of the favorite costume characters of Despicable Me fans is dressing up like one of the silly minions. Pulling together a basic minion costume is easy, especially if you already own a pair of denim overalls and goggles. The minions have been a popular Halloween costume since these silly yellow pill-shaped incoherently-babbling scene-stealing sidekicks first debut in 2010. Fortunately they are back crazier than ever in Despicable Me 2. I've pulled together a Do it Yourself costume version, so you can assemble your own yellow minion costume. The hardest decision may be whether to be a one-eyed or a two-eyed minion. There are even new options for girls. In case you don't know the minions you can meet Gru's "cousins" in this clip from Illumination Entertainment introducing the Minions. I've always found it more fun to make or put together costumes than to go out and buy a pre-made option. These versions are more fun for the kids to do to, since they can help in creating their own costume. Pulling together a basic yellow Minion Costume (these are the good guys, not to be confused with the new purple evil minions is pretty easy, you just need to assemble the costume pieces listed below. Start with a pair of denim overalls. Be sure to add in the "G" logo for Gru that identifies all of these good minions. Look at the picture to the right or large minion picture below to see what the Gru "G" looks like. Wearing a yellow shirt and yellow beanie or swim cap will help cut down on the amount of yellow face paint you need to apply (or you could even get by without any face paint and just let the yellow top and cap work). You will want to get dressed (except for the gloves) and get your shoes on before doing your face paint. For the final touches, put on your goggles and pull on your gloves and get your grin on. We've adopted a bunch of minions for our home. These silly toys can often be found riding in the back of the car, peering out the window. Which minion look is your favorite? 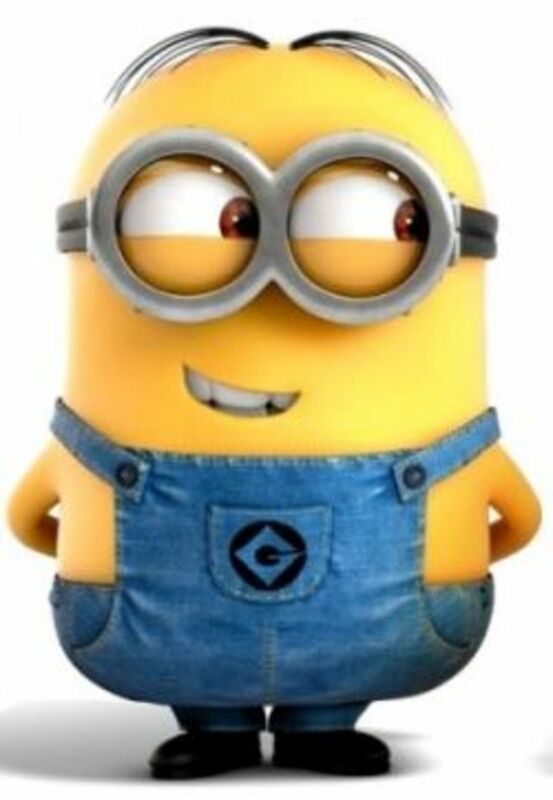 I like all of the minions. I'm not crazy about minions. Starting from top to bottom here are a list of the items needed to convert yourself into a fun-loving minion, some of the items (like the overalls or yellow shirt) you might even have at home. If you want to make yourself look bald like the minions, then you need to start at the top, with a bald cap. Even better, use a yellow beanie or swim cap and a great part of your head is already yellow. With a yellow swim cap, you already have a yellow head. A yellow beanie is another way to create a yellow headed minion. Marie LeBaron, founder and managing editor of Make and Takes, shows an easy and cute way to customize a yellow knit hat, snow hat or beanie and turn it into a minion head with paper towel roll goggles. We are only days away from Halloween and it’s crunch time people! But have I got the perfect idea for you. It’s quick and easy, and oh so cute… Minions!! The yellow minions are all yellow, so you will need to cover your head and your skin in yellow face paint. Starting with a yellow cap or beanie and wearing a long sleeved turtle neck top means there is less face paint needed. Water-based face paint in bright (Minion) yellow. Another yellow paint option, non-toxic 1 ounce. The official Despicable Me Masks make it easy to become a one-eyed or a two-eyed minion. Wear a one-eyed Stuart mask to complete your minion costume. Wear a two-eyed Dave mask to cover your own face. Getting a two-eyed goggles is much easier than getting a one-eyed version. 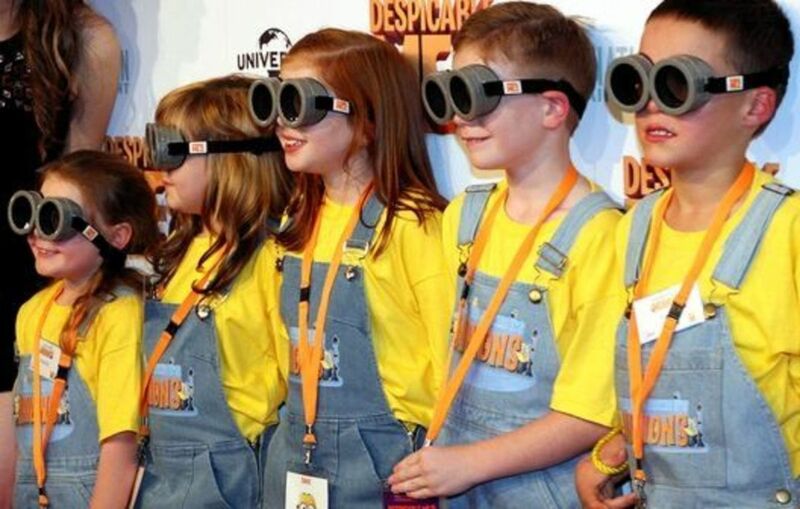 The official Despicable Me minion goggles will help you complete your costume. These were the pair that I got for us. 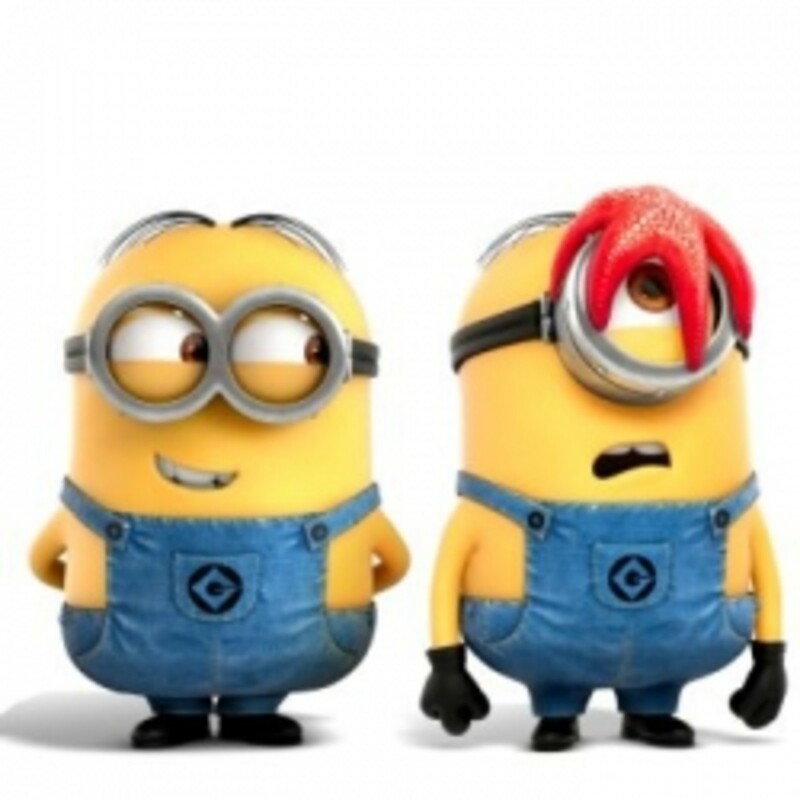 The Despicable Me website has printable minion goggles, both in a one-eyed and a two-eyed version. Just download, print, and assemble and you'll have a your own pair of minion goggles. This may be the best option for getting a one-eyed pair of minion goggles. Downloadable and printable PDF File to make your own minion goggles. Long-sleeved yellow shirt for men in assorted sizes. Long-sleeved shirt for kids in assorted sizes. 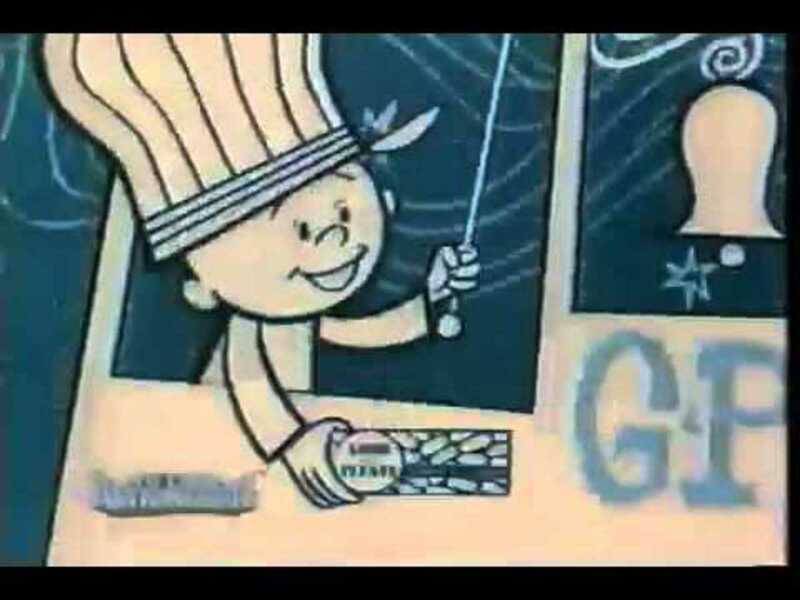 Don't forget to put the "G" Gru symbol on the overalls. Faded blue overalls for women. Some of the websites where I was able to find Gru's "G" logo. You can draw it on the overalls, or if you want to reuse the overalls for something else, create one out of felt to temporarily attach to your overalls. Brands of the World is the world's largest library of brand logos in vector format available to download for free. Computer-generated preview of embroidered patches of Gru's and Vector's logos from Despicable Me by NeitherSparky. Throw on a Minion Face shirt and you have an instant Minion costume. The hardest part is picking a favorite expression (and that they only come in kids and teen sizes). A silly minion shirt for teens. For Despicable Me 2, they have released officially licensed minion costumes for girls and for women. I am glad that they've recognized that girls like the minions too and want a costume of their own (that isn't Agnes or Margo). This officially licensed Despicable Me 2 costume comes with the dress which is fashioned to look like a minion outfit with yellow top, and denim overalls only in skirt form. It also has the black stretch-knit gloves, a yellow headband, minion goggles and a pair of black knee-hi stockings. When I asked my 11-year-old what she thought of this version, she didn't think it was age appropriate. (The skirt was too short). She did, however, like the version for younger girls. Now I am off to work on a DIY version, that is more appropriate. Check back for updates. Female Minion Costume available on Amazon and eBay. This female minion costume is an officially licensed costume for Despicable Me 2. 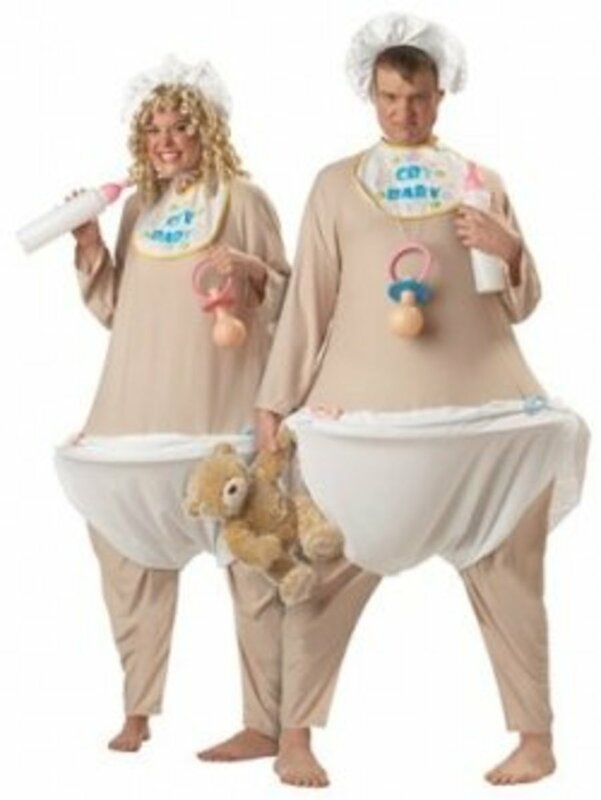 It is also fun interpretation of the minion costume for little and bigger girls to wear. If you'd rather get a pre-made minion costume, they are available on Amazon and also on eBay. The fun-loving mischievous minions have reappeared in Despicable Me 2. Despicable Me 2 starring Steve Carell as Gru is back with new outrageous characters including the lovable minions and his girls. Follow Despicable Me's Minions on Facebook. Find the Minions on YouTube. Follow the Minions on Twitter. Have more fun with the Despicable Me 2 Minions by going behind the goggles. Minions are small, yellow, cylinder-shaped, creatures that have one or two eyes and are one of the most notable characters in Despicable Me. 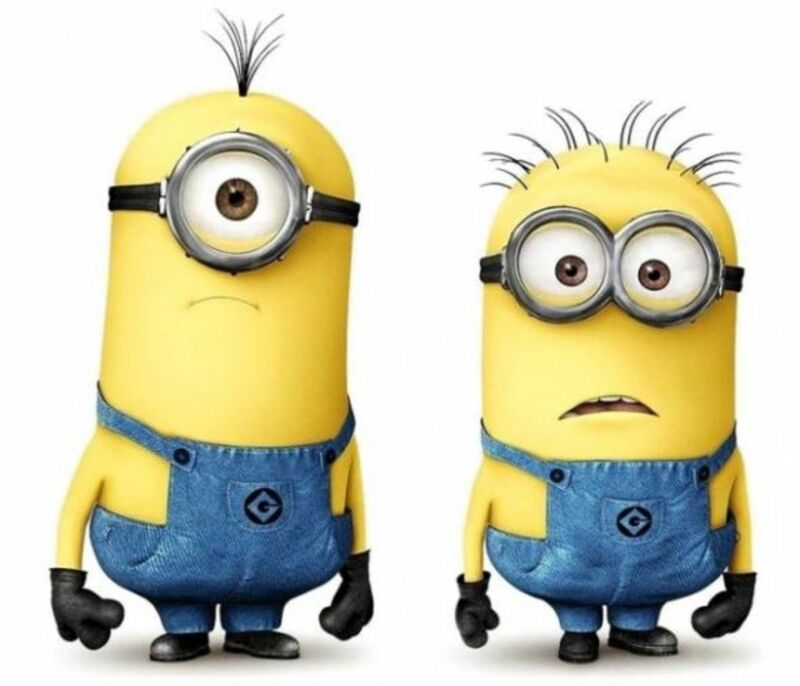 What do you think about the Despicable Me Minions? Awesome, I love the Minions and I love this lens!! @ChristyZ: The minions work well for lots of different ages. They seem to be quite popular with college students too. Must be the rebelliousness. I love this! What an excellent costume lens. 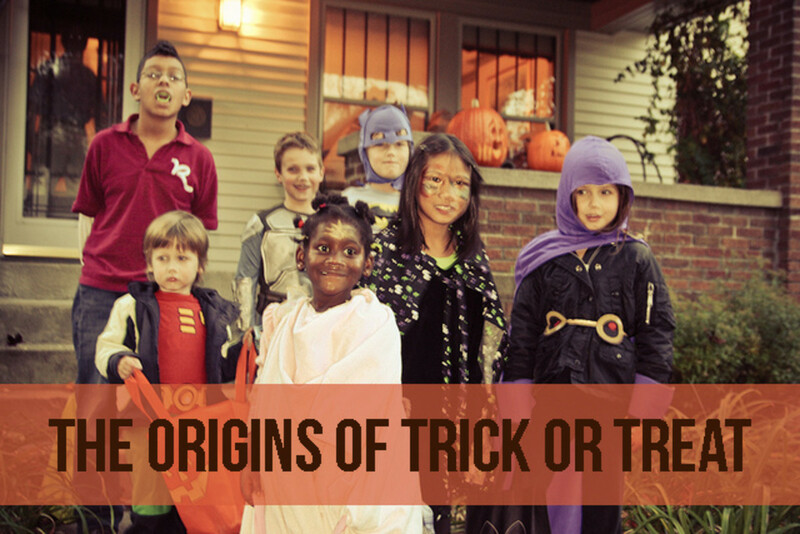 Plenty of fun and terrific costume suggestions!